The South Asia Center of the Atlantic Council asked observers of South Asia to contribute their thoughts to a forum, Passage to America: Prime Minister Singh’s Visit, on the significance of the Indian Prime Minister’s official trip to the U.S.
Photo credit: Reuters Pictures. Front page photo credit: Getty Images. Indian Prime Minister Dr. Manmohan Singh’s first state visit to Washington next week is the highly awaited event of the political season for this “city of magnificent intentions.” Though of course, Dickens did use that phrase in a different context in the 19th century. Today, India is a rising economic and political power. And Dr. Singh was recently in the U.S. for the G-20 summit in Pittsburgh, his attendance serving as a testament to his own and India’s new status on the political stage. By making this the first state visit to the Obama White House, the new American President is clearly signaling the importance of India to the United States. U.S. officials have been busy preparing the ground for what will likely be a wide ranging exchange of ideas and confirmation of common goals and understandings on global and regional issues. The Indian Prime Minister is now the elder statesman in his region; he has been on the global economic and political stage for nearly three decades, starting off as Governor of the Reserve Bank of India in 1982, then as Deputy Chairman of the Planning Commission, Finance Minister (when he brought India kicking and screaming into the age of the market economy) and member of the Rajya Sabha, or upper house of India’s Parliament. He became Prime Minister in 2004 and handily won reelection in May 2009. 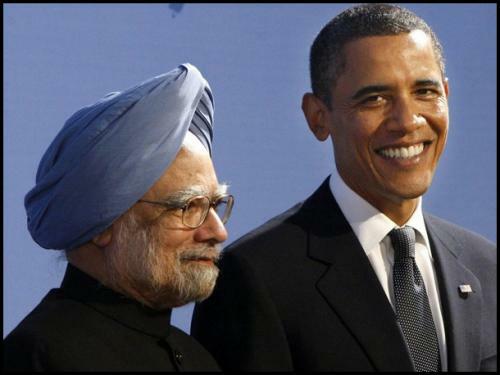 Dr. Singh will undoubtedly have much to convey to the youthful President Obama. Given his steely disposition and his soft-spoken approach to even the prickliest of topics, Dr. Singh will likely debate key issues arising out of recent statements made by President Obama on topics ranging from the upcoming Copenhagen environment summit to China’s role in resolving regional security issues in South Asia, and even on global trade matters. At the same time, there is much that continues to bring the two countries together. Washington expects somewhat of a “love fest” (in the words of a former senior U.S. diplomat), throwing out-of-kilter the U.S. overtures to Pakistan in the context of the new Afghanistan-Pakistan strategy. But many practical areas of collaboration and cooperation between India and the United States will likely be identified via memoranda of understanding or side agreements: cooperation on counter-terrorism, Indian Ocean security, greater military collaboration and defense deals, as well as stronger trade ties. Expectations are high. Will they be met? 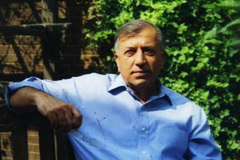 Shuja Nawaz is director of the South Asia Center of the Atlantic Council. Editors’ note: We asked observers of South Asia to contribute their thoughts to a forum, Passage to America: Prime Minister Singh’s Visit, on the significance of the Indian Prime Minister’s official trip to the U.S. This piece is the first in that forum. We hope to follow with commentary on the results of Dr. Singh’s meetings.